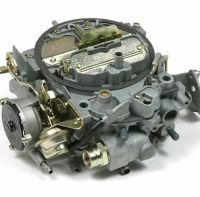 At Corvette Mods, our goal is to provide you with the highest quality parts for your C3 Corvette. We strive to supply everything you need to replace parts or complete a beautiful restoration. Our team has more than 50 years of combined experience working on Corvettes and put that to work finding and manufacturing the right parts for you. 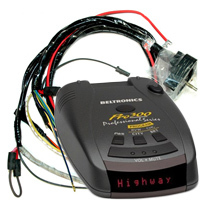 Our selection includes apparel, interior parts, exhaust parts, electronics, and car care accessories. Many of these parts are exact replacements for the original, so if you need 1977 Corvette parts or are restoring a 1972 Corvette Stingray, Corvette Mods is where to find them. The 3rd-generation Corvette is when the vehicle began its shift from muscle car to touring sports car. 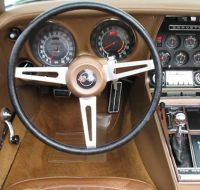 In particular, the 1973 and 1974 Corvette Stingray Coupe marks a key point in this transformation. A redesigned nose, new body mounts, radial tires, and reduced interior noise gave it the looks and feel to match its powerful small-block engine. The hybrid design of the C3 Corvette has made it a beloved car to this day among people who want to sit behind the wheel of some "sporty muscle". 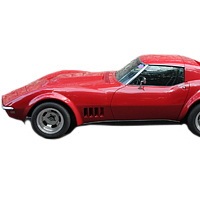 Check out our impressive stock of C3 Corvette parts today. We offer a full line of engine components such as transmission coolers, brake cylinders, radiators, and power steering pumps to keep your vehicle performing at its best. 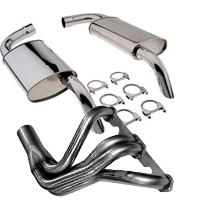 We also offer Corvette exhaust parts and exhaust modification kits to give your vehicle that all-important look and sound. With C3 Corvette AC and heater component upgrades, you can enjoy modern creature comfort behind the wheel of your classic ride. Replace worn interior parts or customize the look of your vehicle with a complete selection of items. 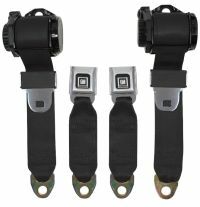 We stock both OEM-spec and custom upgrade parts such as door pull handles, dashboard circuit boards, rearview mirrors, and replacement seat belts. If you're getting your Vette ready for competition, make sure to install roll bars and other safety equipment. Our selection of exterior parts includes suspension components, replacement body panels, mirrors, and lighting. 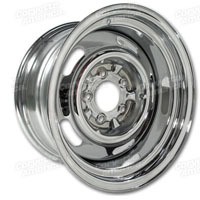 We also carry replica Corvette wheels and valve stems. At Corvette Mods, we have the Corvette C3 parts you need to maintain and enhance the look and performance of your vehicle. In addition to our huge assortment of C3 Corvette Stingray parts, you will also find everything you need to care for your vehicle. We carry logo seat covers, cleaning and polishing products, outdoor car covers, bras, and even ramps and wheel cribs to make maintenance jobs safer and easier. Battery chargers, jumpers, and air compressors will help your Vette roar after a winter in storage. 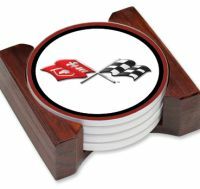 Need gift ideas for the Corvette owner or enthusiast in your life? 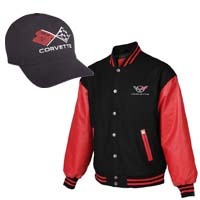 Then check out our full line of jackets, shirts, hats, and other Corvette apparel to suit every taste. Be sure to stop and have a look at our logo items and gifts section. Here you will find calendars, drink coasters, signs, and golf bags that show your Corvette pride. Corvette Mods gift cards are another way to help the 3rd-gen Corvette lover you know get exactly what they want or need. 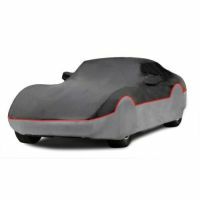 Order today and see for yourself how, at Corvette Mods, "We Obsess Over Your Vette!" We carry thousands of Corvette Stingray parts that are tested and used by our staff on their own vehicles. This means they can provide excellent advice on what will work best for your restoration or repair job. Qualifying orders ship free in the United States and all orders earn points towards our Mod Rewards Program. Call, email, or visit our headquarters for more information.